@TeacherTweaks workshop on differentiation. Their blog here. Presentation here. Carol Dwecks- Growth Mindset– The Power of YET… I don’t get it… YET. I don’t know this. YET. Graham Nuthall- Hidden Lives of Learners– Learners all have the ability to succeed. Everyone. Irrespective of ability. Do not mistake attainment with ability. Make it Stick- Display/Teach in a variety of ways. In three different ways. This does not have to be multi sensory, but a variety of methods. Comfort- Struggle- Panic Zones- link to Vygotskys Zone of Proximal Development. Links to posts here on my toolkit; my post on Differentiation and Growth Mindset. @ShaunAllison workshop on feedback. His blog here. Like @TeacherTweaks- keeping students in their struggle zone is vital! Marking is planning. Planning forward to your next lesson. To your next steps. To the next learning. @MaryMyatt workshop on Leadership and School Improvement. Her blog here. Recommending Tim Oates video clip on assessment. The focus on really vulnerable students and the quality of modelling and talk they need. Lots of important phrases and key points shared as seen above in presentation. Links to my posts; my post on my blog- inclusion. @JillBerry102 workshop on stepping up into Headship. Interviewees are your ambassadors. They way you treat them, job given or not, is vitally important. Links to my posts; My newtothepost blog. And Sir Tim Brighouse! There were other amazing sessions being run which I am really disappointed that I could not attend, for example Tom Sherrinton, David Rogers, Rachel Jones, (Also got to sign a copy of her Don’t Change The Lightbulbs book that I contributed a chapter too.) John Sayers, John Tomsett, Lisa Jane-Ashes (Thanks for the book for #TMOxford!) & Samantha Bainbridge, Kerry Pullen, Chris Hildrew, Andy Tharby, Eric Wareham, Chris Curtis, Sian Carter & Jen Ludgate, David Fawcett and Andy Day. Thank you to Andy Knill for sharing Session Builder with his fan of Global Solo taxonomy users during the Genius Bar lunchtime sessions. 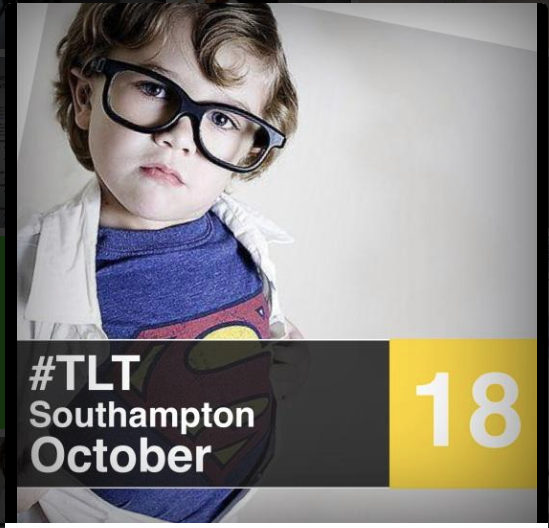 Search Twitter using the hashtag #TLT14 to catch up with the tweets! Overall a massive thanks to David Fawcett and Jenny Ludgate for organising and putting on another amazing event. Well done! Use of other adults in a classroom– Teaching Assistants, Mentors, Youth Workers etc. Interventions– KS3/4- How to get students to catch up? Redraft? Do better? Out of the classroom experiences- How extra curricular (not just sports) can benefit learners.